Would you like to buy a small luxury gift item to share God’s love with someone from our community or beyond who is housebound or has had a particularly difficult year? Please hand into Church on Sunday or into The Hub 9-1 pm Mon-Fri. 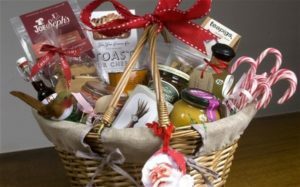 They will be made up into beautiful Christmas hampers and hand delivered before Christmas.